iHerb has verified with Life Time that there is 50% or l50 mg of trans-resveratrol contained per serving. 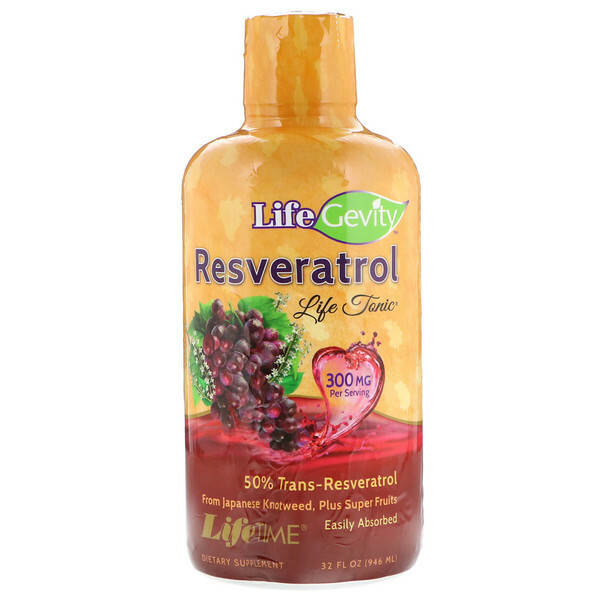 Discussion: LifeGevity Resveratrol Life Tonic contains resveratrol, a naturally-occurring polyphenol found in grapes and the roots of the Japanese Knotweed (Polygonum cuspidatum) plant. Each one fluid ounce serving provides 300 mg of resveratrol (50% trans-resveratrol), reputed for its antioxidant activity, and is intended to provide nutritive support for cardiovascular health. Use only as directed. Vigorously shake before use. Take two tablespoons (one fluid ounce) daily, mixed in water, juice or your favorite beverage. Store in a cool, dry place. Refrigerate after opening. 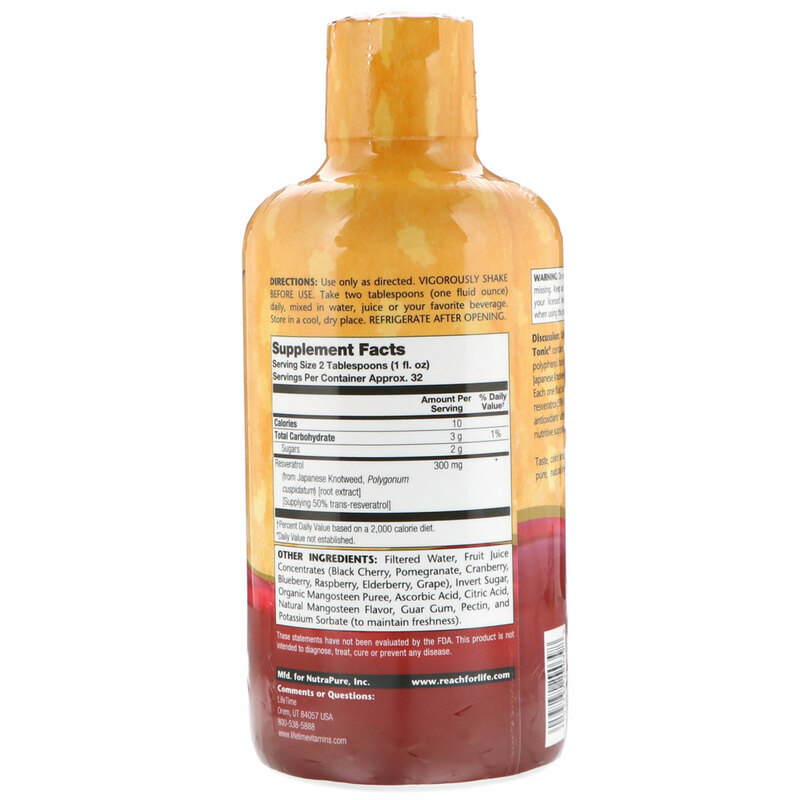 Filtered water, fruit juice concentrates (black cherry, pomegranate, cranberry, blueberry, raspberry, elderberry, grape), invert sugar, organic mangosteen puree, ascorbic acid, citric acid, natural mangosteen flavor, guar gum, pectin, and potassium sorbate (to maintain freshness). Do not use if safety is broken or missing. Keep out of the reach of children. Keep your licensed health care practitioner informed when using this product. Taste, color and consistency may vary due to the pure, natural ingredients in this product.